I recently realized that Stonemaier Games has no strategy for gift commerce. I’d like to change that. That’s a significant market. Yet many businesses–including Stonemaier–have little to no gift commerce strategy. That is, we have a webstore, but there is nothing about it that encourages or aids the gift-buying process. So today I’d like to discuss some potential strategies for gift commerce. I very much look forward to hearing your thoughts in the comments. This is why people are buying 20 gifts per year–there are so many different occasions to give gifts! They seem to fall into 2 main categories. Universal (holidays): Showcase the upcoming holiday on the website and in the e-newsletter, pointing customers to specific gift options for the corresponding holiday. Personal (birthdays, weddings, etc): This is more difficult, as it’s person specific. Perhaps a gift guide specifically geared towards special occasions? During my brainstorming process, I realized that I already had the resources to create a gift guide–it seemed like a good start. So I worked with Dave Hewer, our web designer, to create the gift guide you can see at the end of this article. Our approach was to create a guide that could help anyone buy a gift based on what they know about the recipient. That’s why we subdivided the guide both on type of gamer and type of person, and we offered two layers of options (“first step” and “next level”). Dave was able to organize the chart so it isn’t overwhelming for someone. The guide is all one big image, which makes it easy to share on social media (though I realized on Instagram that I would have to zoom way out to share the entire image). It’s certainly is a work in progress, and it will change and grow over time. There are a lot of products we couldn’t fit onto the guide without making it look really cluttered, but they’re on our webstore. Do gift buyers need financial enticement? I’ve been debating this internally quite a bit. The only discounts I like to give are on pre-orders. My reasons are (a) don’t anger retailers, (b) don’t disrespect people who already–even recently–bought the same product at a higher price, and (c) don’t discourage people from buying something now because there might be a discount later. However, as a consumer myself, I know the power of financial incentives. I also wonder if those concerns aren’t such a big deal when the purchase is a gift. I know that I have a different reaction when someone reaches out to me asking for a favor for their loved one versus a favor for themselves, for example. So one idea I was considering was limited-time discounts specifically on gifts. This would be on the honor system and only 1 per customer, as there’s really no way of me knowing if someone’s purchase is a gift or not (well, maybe one way–more about that under “Kickstarter”). For example, leading up to Father’s Day I could change the text on the gift guide to say, “Use promo code DAD2019 to save 19% on X” (all products or a specific product. I don’t know. I’m still thinking about it. What do you think? 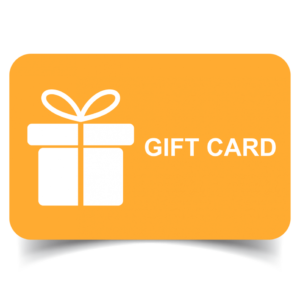 From what I’ve read about gift cards, they’re an important option for gift commerce strategies, as they add a certain amount of flexibility to a gift purchase while still being specific to a store/publisher. Like, if you know your friend has and loves Scythe, but you don’t know which accessories or expansions they have, you might buy them a gift card instead of risking redundancy. Shopify offers gift card options, but only if you have the $79/mo plan (opposed to the $29/mo plan). So you’re betting on people buying at least $50 of gift cards each month to break even. I’m going to try it to see how it goes. It’s on our webstore now. I bought one as a test, and it seems to work well. This addresses the same concern that the gift card addresses: If you’re worried about buying the wrong thing for someone, you might buy nothing at all. The problem with free returns is that it has the potential to be quite expensive. While I experienced very few takers on the money-back guarantee I offered on Kickstarter, I think part of that is because of the connection I had with backers. A gift recipient may have no affection for Stonemaier Games at all and probably wouldn’t hesitate to return something they didn’t want. So I’m on the fence about this. I mentioned above that it’s hard to prove that someone is buying a gift versus buying something for themselves. But there is one way that you can increase that possibility, and it also happens to be a method that creators could use on Kickstarter: Offer the option to buy 2 identical products (1 for you, and 1 as a gift). Back to Kickstarter: I’ve bought several gifts on Kickstarter, though I can’t recall a time when a creator has actively reminded me that the product would make a good gift. I think that would help. For example, if you have a product that appeals to kids, remind backers of their nieces and nephews. Have you ever bought a gift at the last minute? I absolutely have. If I’m buying a gift on a tight timeline, it’s really important that I actually receive it (or that the recipient receives it) on time. Otherwise I won’t buy it at all. Currently I’m struggling to find a good solution for this in Shopify. Basically, I want to give customers the option of standard or expedited shipping. I’ll keep looking. Sometimes when I buy a gift for a friend, I want it to be special, something that’s unique, personalized, or hard to get. So I’ve been brainstorming ways to do this for Stonemaier Games products. The hard part is that we aren’t really built for customization. We mass-produce, and the process takes months. So far, the only idea I’ve thought of that might work is signed products. I could add a variant to certain products in Shopify to add a signature for $X (my signature isn’t worth anything, but because I work at a different place than the warehouse, it creates a logistical hassle to get a signed game to me). Similarly, I could create a new product listing geared towards personalization, like a handwritten note for the recipient. Again, there is the logistical hassle of getting the note to the warehouse in a timely manner, but it’s a little easier to manage. Even though my company and my livelihood is dependent on selling things, I must admit that it’s still a bit odd for me, as I find some holiday marketing to be quite offputting. There’s a wave of businesses asking us to buy more, more, more, trying to get us to equate love with money. I don’t want Stonemaier Games to be that type of business. Yes, I want to sell products–my goal is to bring joy to tabletops worldwide, and we do that buy finding ways to get our games to your table. But I don’t want to pressure people into buying gifts. If it’s right for you and the recipient, that’s great. But there are many other ways to express love and generosity, and I hope to encourage them too. That’s all I have for now! I look forward to hearing your thoughts and ideas in the comments. One thing you didn’t mention, but which is important for some gift buyers, is gift wrapping options. I don’t know how practical that is with your current web store, however. I don’t think it’s ever come up when I’m getting gifts, but I tend not to be ordering online to deliver to the person’s house as some wind up doing. Likely has the same issues for you as customization does, however. Thanks Stephen! Gift wrapping is a good idea. I’ve considered print-on-demand promos, and we even looked into setting them up on Drive Thru Cards, but they didn’t offer the right card sizes or paper types. On the topic of special variants or promotions… Would it be viable to create a few promo cards or tiles for your games with special occasion or holiday themes/tie-ins? Are you ordering this game for a gift? If so, then you may be interested in the birthday themed promo card too. Tim: Thanks for the idea! While I’ve tried to move away from the endless stream of promos that we were producing at a certain point, I like the idea of having a few special promos for the purposes you mentioned. I liked the little discount token for Between Two Cities that came in Between Two Castles. It doesn’t really help the non gamer buying a gift, but it could incentivize gamers buying additional copies for others. “If you loved this game and know someone else who would, get them a copy for X% off”. I think what resonates with me more is the accessory content. The expansions and upgrades for games I know someone has or loves. I think calling out meeplesource for instance in your gift guide isn’t a bad idea. It’s marketing that hey if you buy the base, we have all sorts of extras and it also calls out all the extras that a gift giver could get. It takes people away from your site but it all adds up. That said, I dig the graphic you put together. Excellent article. Thanks Jamey. Thanks Ryan! I agree that Meeplesource has done a great job selling our promos, and Top Shelf Gamer has done a great job selling our realistic resources. Hi Jamey. Lots of gamers like ornaments/pictures/”flair” for their game room or game shelf. I would pay for some scythe artwork or a larger model of a scythe mech; maybe 4inches tall. I have been very happy with the shipping option available via Shopify as an online retailer. I don’t use any extra apps, and the calculated shipping options lets my customers choose the speed that works for them. We fulfill all orders on our end by the next day, so the speed and cost is fully in our customers’ control. W haven’t pulled the trigger yet on stepping up to the option that allows Gift Cards, but between that feature, decreased credit card processing fees and improved discounts on shipping (if you purchase through Shopify) you don’t actually have to sell a full $50 in gift cards to break even. Josh: May I ask how Shopify is giving your customers different shipping options? I have different rates entered based on weight, but beyond that I don’t see a place to offer different options. Don’t forget one of the most common gifts, the ones you give to yourself! I think you have come a long way with the gift guide. It makes it easier for people that are not completely in to hobby games. For me personally I would say that the Free returns would be the most important one, if I give a gift I want to be sure that the receiver gets something out of it. Sometimes I just buy things at random because for me its nicer to give a thing instead of a gift card. I appreciate the post especially the last section on commercialism as I think this is the balance to be had with the various options you outlined to support gift buying whether personal or especially Holidays. The general focus for me would be on the various value add things that tip people to buy like the expedited shipping, free returns, the specialized product/extra. The one to be very careful of is discounting/promotions while my career has been product management/marketing in technology products sold to business even in this market people get use to to waiting for the discount or promotion – this conditioning is very real in my experience. Also on top of upsetting your retailers because you are effectively competing with them it also signal to your buyers that the real price is what you have discounted it for. One idea to consider are specific bundles (could be like just for a holiday), especially if you have expansions or other complimentary products/games. The price of the bundle would be less than if you bought all of the components separately. One of the best examples of this is Microsoft Office – each component (e.g. Word, PowerPoint, etc.) would be priced separately at something like $250 each but the whole bundle of everything was like $600. People would buy the bundle because in their mind they were going to use the more than just 1 or 2 of the components. Perhaps you could do an “experienced gamer” bundle for Viticulture, or Scythe that has the expansions rollled in or other special pieces (that would all you to balance the mass production/long lead times with having something unique. Sorry for the long comment but this generated a lot of thoughts for me. Thanks Mike! I’ve offered a few bundles in the past, and in general I like the idea…though I worry about betraying the trust of people who already bought those products (and I don’t want to discourage people from buying now instead of waiting for a bundle). But perhaps, as I mentioned in the post, the idea of buying a gift instead of something for yourself will override that concern. The discounts are a great idea, and no maintenance. I bought Between 2 Castles of Mad King Ludwig as a gift. I bought Scythe out of gift money I got for my birthday. Unfortunately I can’t give My Little Scythe as a Christmas gift to my children, it would have been perfect, as I already bought it :) Hopefully you’ll have another great family game for Christmas 2019. P.S. I don’t see the Viticulture coins in the images. They would make great gift too. I appreciate how much thought you’re putting into this Jamey. I like the gift guide graphic as an entry for people who don’t know the games,but I’m curious how you landed on the phrase “Outgoing Negotiator” for Between Two Cities? I have found that game to be a very good gateway game because of the conversations you have making it feel more cooperative and less of a “negotiation”. I guess “outgoing negotiator” to me feels like you have to be boisterous and ready to debate – but that could simply be my interpretation.. While I haven’t played it _yet_ I have some of the same questions for “Extroverted Partner” on Between Two Castles (based on playing Mad Castles and Between Two Cities separately). I fully realize that I have never played these games with very competitive people or with people who had such strong opinions that it felt like a negotiation or that I needed to be particularly Extroverted to play them, but I recognize that might just be my experience. So I was just curious how you landed on those terms. I don’t people to think “oh, the person I’m buying for isn’t very outgoing or extroverted” and skip those great games! Though I’m sure there are possible issues with almost any word choice. Marc: It’s a pretty subjective process, so the names pretty much stemmed from the best terms I could think of at the time. I was thinking that the Between Two games work well for people who like to talk, and there’s some level of negotiation (and certainly partnership) involved. But if you have a better suggestion, I really am open to changing them to something that would better help people identify gift targets. I agree. I also paused on those 2 and thought they were strange. Extrovert could seem negative to an introvert. The others are fantastic and great! P.S. I see B2CMKL as interior designer or organizer. Not a bother. Decorator is very nice. I was in the gift business for over 20 years selling lady type home decor, I did the gift shows at the Javits center and a lot of retail in malls and direct to consumer at craft shows etc. I did not read the comments yet, so sorry if this is repetitive, I wanted to get this down first. Selling gifts is about solving problems. I admire you not wanting to make a big push, or big deal about it, but giving people options to solve their problems is helpful and will gain you good will! I brainstormed some ideas the other night, YMMV. presenting in no particular order and based on my work in the gift field and my gaming experience. One pitch, esp for Christmas, is buying a game that is a gift for the whole family, or as a great host/hostess gift. You buy with the plan it will be part of the activity for the day and it either ends up at the house or goes home with purchaser. What you are selling here is memories and experiences, and you would be targeting gamers. This could also work with other holidays that are family oriented like Thanksgiving. and seeing below, this person will ideally be trained so as to make the experience positive, not 5 bored people learning at the same time. One of the biggest barriers I identified is gamers wanting to buy for non gamers. (there was a very poignant thread on this on FB last week – check out #uncleray) – non gamers may be easily overwhelmed by these scary looking games with all these pieces!!! Even MLS. So as an extra I might suggest a welcome to modern boardgaming booklet and or a card specific to each game. It would talk a bit about modern gaming, and give some benefits for gaming = resilience, teamwork, math etc….and then acknowledge the elephant, these games can be a bit of a challenge to learn. talk about ways stonemaier addresses this in their products and in this book. Make it as easy as possible to get them playing – which i know you have spent a lot of time on. It would list the run through videos, the support pages on the geek (forums and files) and the FB pages where most questions are answered in minutes. So make it clear they are not alone and to make it less scary to get it on the table. Point to specific things like the first turns in Scythe, copying the player aid page with top and bottom actions outlined….things geeks do automatically….perhaps enhanced player aid on the back of the sheet, the handholding info on the front? let them know there can be a curve but millions or thousands or whatever play just fine….testimonials? suggest one person learn first….again all the things we take for granted. even experienced players rarely just open the box with a group and set to it, let them know this. At the same time you want to thread the needle that yes this can be a little hard, but we know you can do it, it is not that hard. Sign games, dont bother with personalizing, signed still has the value. I think most people would be good with just signature. dont charge for that, but make it available as a special – during holidays, with specific products etc. charging for it ….dont like that. and if it is just your name you can do a bunch in bulk. maybe date as well? Viticulture is lovely for weddings – as a gift and an activity if run by a trained person at the pre and post events. so perhaps the literature should address this – same as with idea above – for max success, have an idea how game runs. MLS is of course perfect for kids birthdays, figure out an idea to make a party around it….birthday pie, and etc….solves a problem! what to do for a party! MLS themed! rather than offering discounts that might seem unfair to others, excel in the extras. wrapping, card etc, and have it done at the premium level we expect from SM. Get a couple rolls of paper, one kids, one weddings, and then evergreen colors or patterns. a nice heavy weight. and some sort of decoration, even the SM logo on a nice sticker, or something easy that is flat and ships well. I see a sticker with ribbon sticking out, or one line of ribbon around the box and sealed with stonemaier sticker. you could even go with your stonemaier orange, if that is official color. deisigning your own wrap would be amazing, but cost cost cost….i am just squueeeeing over the thought of jakup wrapping paper…..
one note which maybe someone picked up on – cost to have gift card available you said is $50 a month, recoupable by selling one, no, depending on Cost of Goods you might have to sell 5 or more to break even. i would test returns and see if they get abused? but for all my ideas, dont pressure people, but give them opportunities to solve their problems easily and with the least work possible. Candy: This is amazing! Thank you so much for sharing your expertise and ideas here. It’s a lot to chew on, and I’m sure I’ll return to this comment. At the moment, I think my favorite idea of those you mentioned is the concept of presenting something that people can break out and play with their families on certain holidays. Like, if I could somehow encourage people to play a certain game as a tradition on Christmas, that would be wonderful (if just the IDEA of that is very compelling). Thank you! Which leads me to the idea that Charterstone would be a great game for when kids are on break from school (spring and winter)…..you gotta entertain them for x number of days. same with hannakuh….so almost an advent calendar? you would give it as an early gift? Setting up gaming as a tradition would be a great idea family wise….Christmas eve or afternoon, or even NYEARS! a lot of people need non party new years idea….so breaking out the charterstone for a marathon session would be cool for families! and then the board could be played in future years? The minus with this idea, parents, esp moms are under seige with obligations, so it would work best if it did not involve them…. oh i had one more – ofter a surprise extra with each purchase instead of discounting. throw in some promo cards, either existing or make up special themed ones, which could be signed….and so these would be gift only offerings, which could be problematic to collectors, but…..so you would put them in a little envelope marked a gift from Stonemaier. Tatiana: I like that idea! Thanks for sharing. Jamey, you are really good at bringing people together and think about interesting subjects. The comments section often contain a lot of useful thoughts. Regarding gift cards it can be a little boring just to get some money. It would be nice if there was a way to gift a game but before it is shipped, the recipient need to acknowledge and has a chance to switch to another product. So that I can gift someone Scythe because I think it will fit them perfectly. But they still have a chance of changing to something else if they already got a copy. Or just the chance of making the gift card into a suggestion: I think you would like this! Thanks Magnus! That’s an interesting idea of having the recipient indicate that they want the gift before it’s shipped. If the gift/game is *from* a gamer, then the giver/gamer might appreciate a signed card from you, Jamey. You could have a bunch of thank you cards printed, perhaps depending on the game given, or perhaps at first a more general SMG card. “Thank you for giving the gift of gaming, and for choosing SMG”, or something like that. I had another idea for you, based on using a game as a family event….MLS would be perfect for pi day! where eating pie is becoming a tradition! so giving/playing MLS could be an angle. I do not know how big pi day is everywhere but it seems to have gained traction in the NW, even little Olympia has a pie based event. Perhaps you could work up a protocol – like well, yeah we serve pie, sweet and savory, but what are some other party ideas (crowdsourced from your awesome crowd) to make it all come together….into an event! (Can you tell I love to plan parties?) I know we need a pony to ride…..OK, getting a little nuts….but you know someone somewhere would rent the ponies! I am reading your blog and i get the really awesome ideas. Your guideline is really nice. I like your blog. Thanks for sharing.